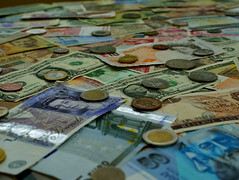 Several of the world’s most economically influential countries will approach the United Nations later this month, and request the introduction of an international currency transaction tax. After a brief reprieve, numerous countries are once again raising the call for an international currency transaction tax (often referred to as a Tobin Tax) to be instated worldwide. On September 1st Bernard Kouchner, Foreign Minister of France, announced that a group of sixty nations, most notably France, Britain and Japan, will propose the tax at the United Nations Millennium Objectives summit on September 21st. The potential new tax revenues are intended to be used as funding for worldwide development and aid projects. According to Bernard Kouchner, a small levy on international financial transactions involving British sterling, Euros, Dollars and Yen would be a simplest and most effective tax option, as it would only need support from a limited number of central banks. It is estimated that the proposed tax will raise up to EUR 40 billion annually. Commenting on the potential revenues Bernard Kouchner said, “It’s not a lot, but enough to get things going.” It is estimated that the global aid gap has reached nearly USD 340 billion per year.